In years gone by, a cruise was a trip taken by retirees and older folk who spent all day playing shuffleboard and playing bridge, moving from one meal to the next without ever venturing off the ship. 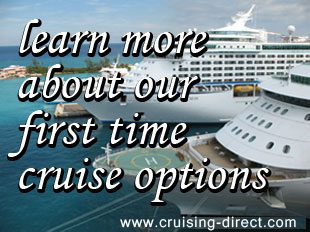 Well things have changed and today, cruises are the in thing for everyone. Whole families choose cruises instead of spending a week at a hotel. Why be stationary when you could be constantly on the move? Why spend time in the hotel lobby when you can take in the breathtaking mountains or the sandy beaches at ports of call all over the world? There is something for everyone on a cruise, from babysitting for the infant to poker and backgammon for the older members of the family. And for everyone in between, there are swimming pools, massage parlors, tennis courts, tanning salons and many other activities. Cruises are now a popular venue for honeymooners. What could be more romantic than relaxing on a lounge chair, lulling to the movement of the water? Candle lit dinners, moonlight walks on deck, cozy quarters with comfy beds all add to the aura of love and romance. And of late, a new phenomenon has begun. Cruise ships are now hired for the wedding venue. No more church ceremonies and wedding hall catering. Cruises today cater to many all ages and groups. Close proximity and the inability to jump ship provide singles groups with an ideal dating environment. Ships are hired out for youth parties of all kinds, as well as for extended business “meetings.” Some cruises travel to specific ports of call where further activities are offered. Whatever your preference, whatever your occasion, do it cruising.